What is Banned Book Week, anyway? Want to read up on dragons and knights, but can’t get to the library to check out our featured titles? No problem! You can find them listed below. There are dragons hiding in the library! They came seeking knowledge and got lost. Now we need your help to find them. We will resume our regular semester hours on Wednesday, September 17th. If you have any questions, please feel free to contact us! Ebrary is updating their online Reader the week of September 8th. For those who use the e-books found in the Library Catalog, you might be familiar with Ebrary. 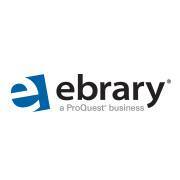 Ebrary is one of our e-book vendors, providing over 30,000 full text e-books. If you have used the reader in the past, the new Reader will look a little different. The update should make the Reader easier to navigate, with better display options. For more information on the changes, check out their guide or ask a librarian. You are currently browsing the GARLAND LIBRARY weblog archives for September, 2014.